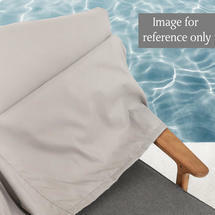 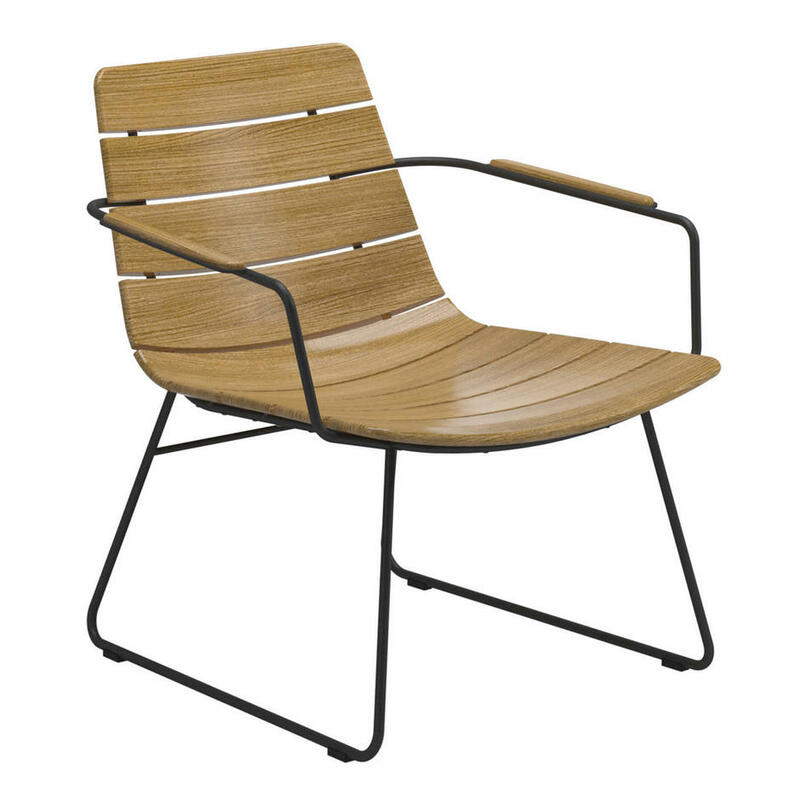 This lounge chair beautiful, tactlie and designed to fit like a glove. William is a gloriously comfortable teak lounge chair. 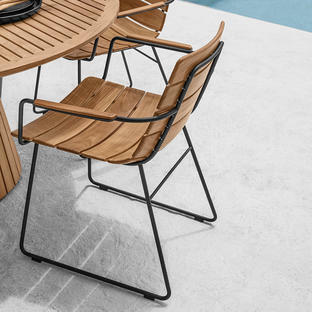 Designed to be used both outside and in. 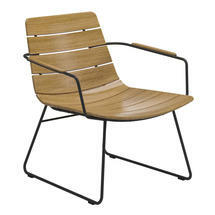 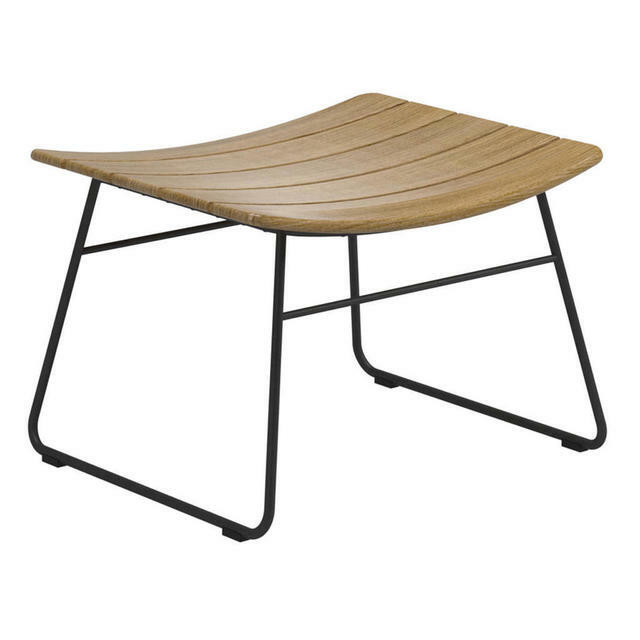 The lounge chair frame has a powder coated finish. 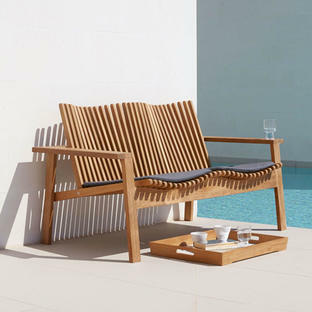 The elegant frame holds the curved teak slats that define the design language of the William chair. 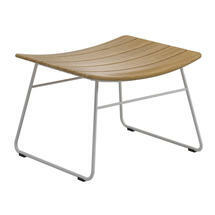 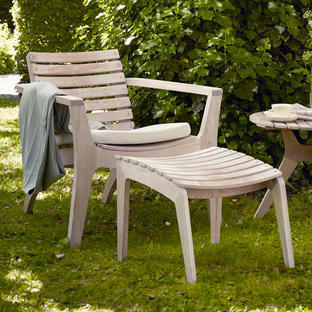 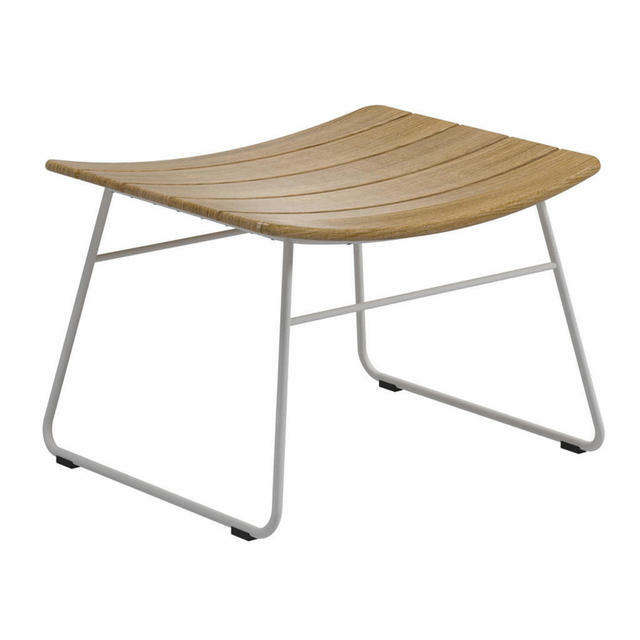 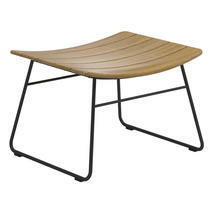 The curved lounge chair back and seat gives a real comfort to this natural teak chair. Team the lounge chair with the footstool for ultimate comfort. The William lounge chair and footstool is a perfect complement to the William Dining Chair, see here.